Unique, luxury residences for long term rental in the heart of the historic 1st District. The Bastion Residence is located in the picturesque Castle Quarter, a World Heritage site, almost directly at the foot of the Fisherman’s Bastion. The newly-built complex in this historic surroundings is a perfect combination of design and practicality, meeting every need of its residents. Following design trends and providing practical solutions as well as using materials of the highest quality were the main considerations while in designing the residences and detached homes. We would like the tenants of the Bastion Residence to feel at home here, the residences offered for rent are fully furnished. If you would like to rent a residence unfurnished, please request a custom offer. 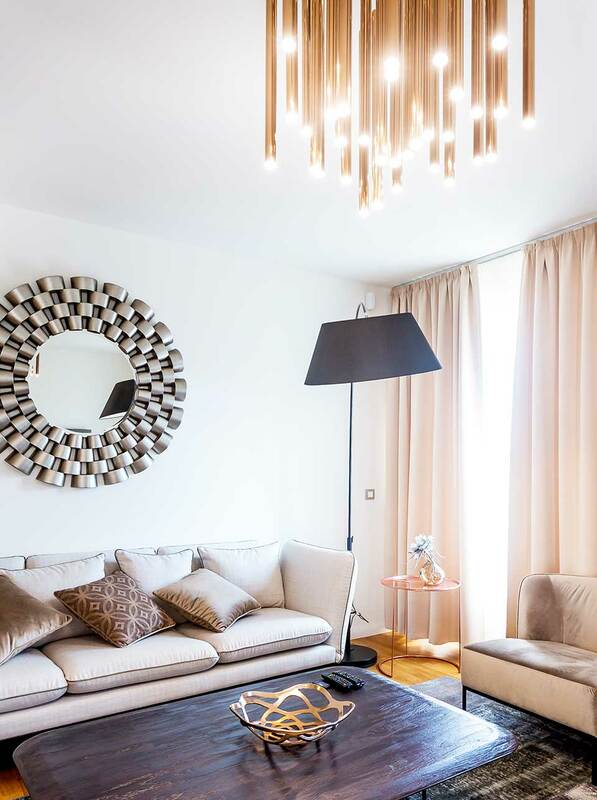 We wish to provide a sense of luxury with our furnished residences, so furniture and accessories have been selected with the help of an interior designer. The exclusive pieces of furniture are coming from Italy, so the design reflects the slight Mediterranean touch of the area, and it also emphasizes our interior design solutions. Please be advised that to promote a healthy life style, every residence and detached home is strictly non-smoking. There is no separate children’s room in the properties of the Bastion Residence, but naturally if the tenant needs one, it can be arranged. The residences in building G are especially recommended to tenants with small children, as there is very little traffic in Donáti Street, and across the street there is a playground, compliant with EU standards, surrounded by trees. 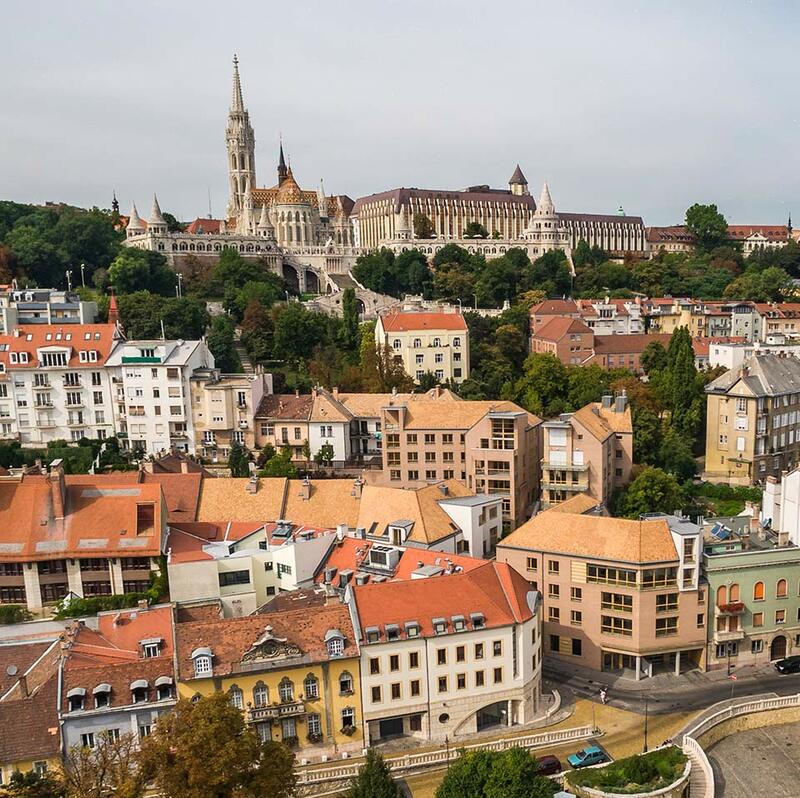 The neighbourhood has always ranked high on lists of the safest neighbourhoods in Budapest, and there are also 24/7 live-force security and concierge services to make sure our tenants feel safe and comfortable. Every property has individual, unique access devices that only provide access to that specific building, so building units cannot be accessed from other units and residents can really feel safe. 26 residences are available for rent, with a ground area between 55 and 163 m2, and 3 detached homes with a ground area between 248 and 272 m2. Separate storage rooms are available for rent for each property. With the exception of building B, elevators are available in every building. Detached homes have private elevators servicing the 4 interior floors. Every residence and detached home has direct access to the parking garage. In the two-storey underground parking garage, parking places, maximum two per apartment, are available for an additional amount. The Bastion Residence is located at an excellent location also in terms of transport. With a few minutes’ walk you can reach all means of public transport, and you can also enter the street by car, and use the underground parking garage.